This 90-minute presentation examines the role of arts and culture — specifically hip-hop — in efforts to promote equality and battle against injustice. 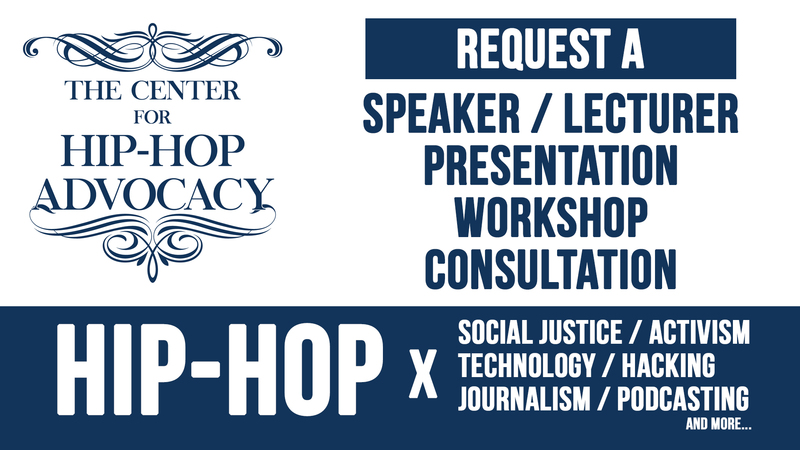 Audiences will gain a greater understanding of how hip-hop music, culture, and spirit have traditionally influenced social issues, what might be hindering the artform’s potential to affect change, and why current and future social justice efforts must include a comprehensive understanding, and inclusion, of hip-hop. Highlighting specific examples of music and other creative elements, hip-hop infused journalism, grass-roots organizations, and forward-thinking academia, the presentation aims to inspire hip-hop fans and detractors alike to see the nation’s dominant youth culture as more than just music on the radio, and how vitally important it can be in the fight for social justice. A Q&A will follow, with an (optional) short performance. 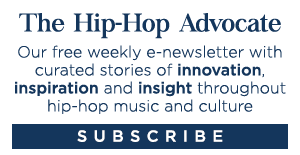 In late 2015, he founded The Center for Hip-Hop Advocacy (www.hiphopadvocacy.org), a non-profit organization utilizing journalism, original research, and media/public outreach to increase awareness and understanding of hip-hop’s important artistic and cultural contributions. 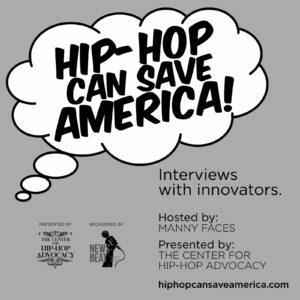 Manny, who is also an accomplished DJ, producer/remixer, podcaster and radio/Q&A/event host, is an outspoken advocate for hip hop music and culture, and has lectured, moderated and participated in panel discussions and conducted workshops at universities, organizations, conferences and festivals throughout the world. A prolific recording and performing artist, Silent Knight has a reputation for being one of the hardest working artists in independent hip-hop. And it’s easy to see why, from being the frontman of The Band Called FUSE, to hosting and curating their monthly Line Up showcase in NYC, to releasing almost a dozen albums independently in less than 10 years. Charismatic yet humble, SK’s genuineness comes across in his music and in his energetic and engaging stage show. A seasoned, award-winning artist, SK has captivated crowds on many world-renowned stages and opened for, or collaborated with, a wide array of acts, including Inspectah Deck of the Wu-Tang Clan, Nneka, Talib Kweli, 112, and members of The Roots. He has also worked with many notable producers including !llmind (Drake, J,Cole), Jake One (JAY Z), & M-Phazes (Eminem). 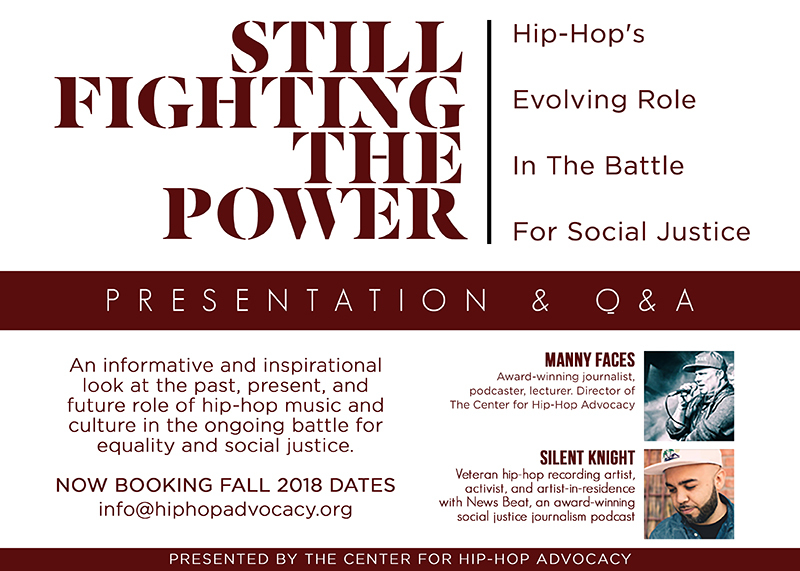 As an artist/activist, Silent Knight also has experience in community organizing, having worked on, and performed for, local political campaigns, and is currently lending his voice and perspective as the 2018 Artist-in-Residence with News Beat, a groundbreaking, multiple award-winning podcast series that melds hard-hitting social justice journalism and expert interviews, with music and original hip-hop lyrics. 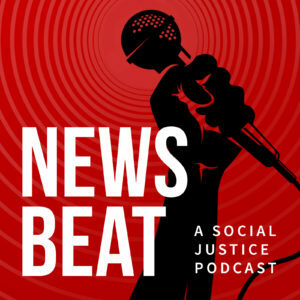 SK and his band were an integral part of News Beat’s “Why We Riot” episode, which was recently awarded Best Journalism Podcast at the 2018 New York Press Club Awards.